Preheat oven to 350°F. Grease four 8-ounce wide-mouth canning jars with cooking spray. 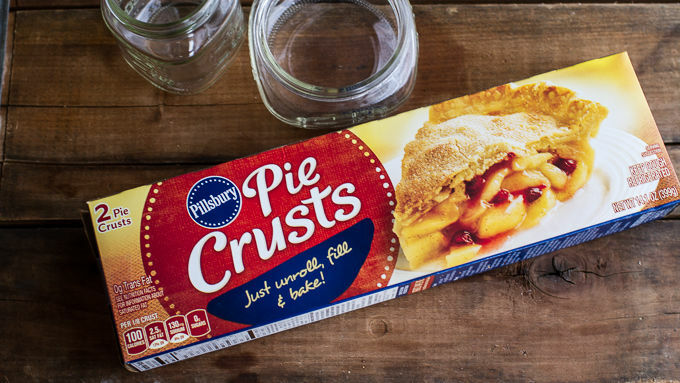 Unroll your pie crusts and lay them on a clean surface. Use a knife to cut out four 6-inch circles. Carefully press the dough into the bottom of the jars and up the sides. Place a piece of parchment paper in each jar to cover the dough. Add pie weights or dried beans on top of the parchment and bake for 10-12 minutes or until the crust is golden brown. Let cool completely before removing the parchment paper and pie weights. 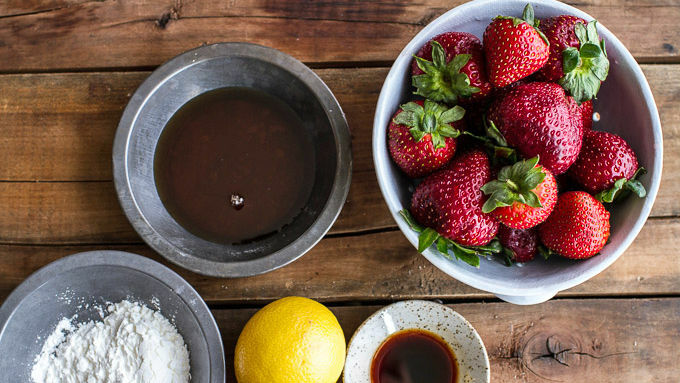 Meanwhile, add 1 pound of strawberries, the maple syrup, brown sugar and vanilla to a saucepan. Bring the sauce to a boil and simmer 8-10 minutes. Use a fork to mash the strawberries. Remove from the heat and allow to cool 5 minutes. 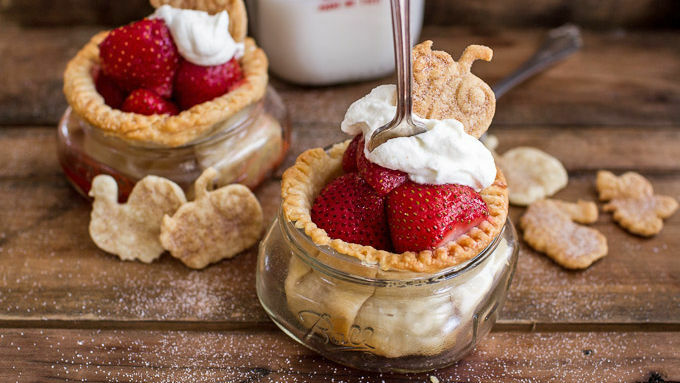 Divide the remaining pound of strawberries among the 4 pie-crust-filled jars. 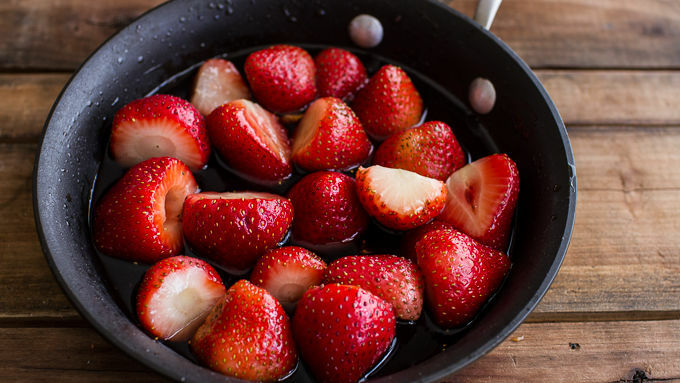 Drizzle the strawberry sauce evenly over the strawberries. Cover and place in the fridge for 2 hours OR serve warm. If desired, serve with a dollop of whipped cream and a mini pie-crust cookie dusted with cinnamon sugar. Please be aware that baking in glass jars requires special care. Make sure that the batter or crust in the center of the jar is fully cooked. 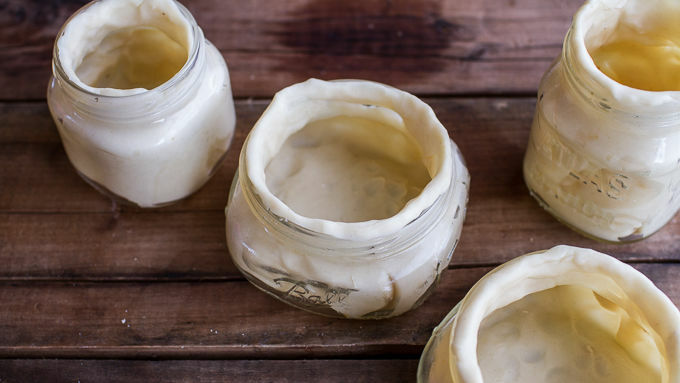 Never seal the jar while still warm or “can” the baked good for longer-term storage, because that can be unsafe. 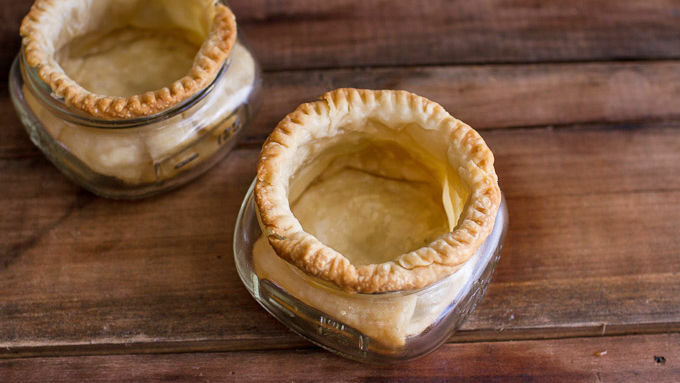 Always clean and inspect glass baking containers before use. Do not use if you find any chips or cracks, as these can increase the risk of shattering. Use the extra scraps of dough to cut out fun holiday-shaped mini cookies. Sprinkle the cookies with cinnamon sugar and bake. 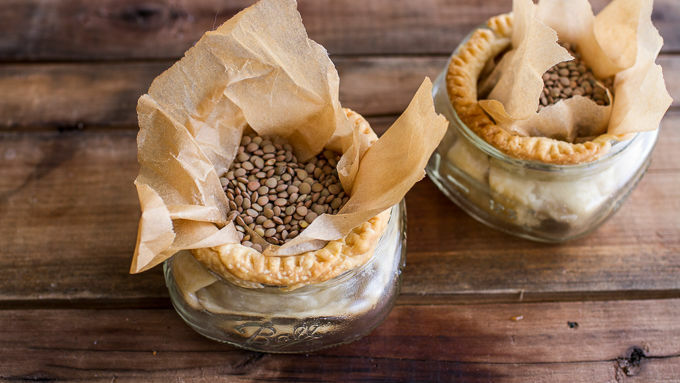 They're a fun and delicious finishing touch to your pies! There’s just something about mini foods that gets me every single time. I guess that technically, these may not be considered mini. Maybe more like individual. But to me that just means instead of having one I get to have two, because everyone knows a mini serving is just an excuse for seconds. It’s why we love mini foods so much. Logical, right? So, apparently strawberry pie is one of the top three Thanksgiving pies (number two, behind apple). Who would have thought? 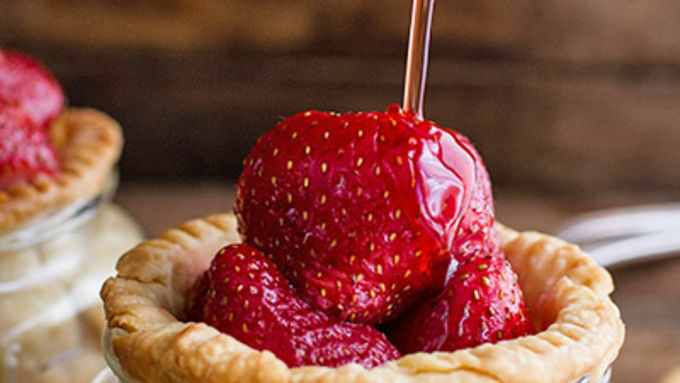 I guess you can’t deny it, strawberry pie IS pretty delicious. 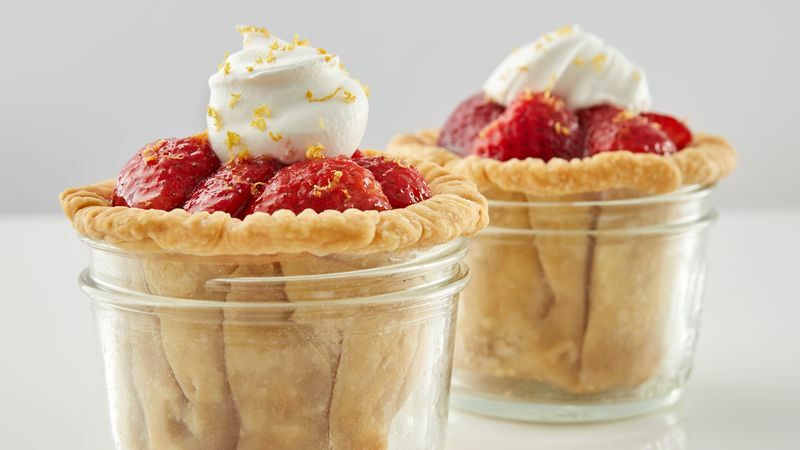 Especially when served in half-pint-sized canning jars with cute little cinnamon sugar pie-crust cookies. Love it!